Liturgy, mystery, and the natural world intersect at St. Luke’s Episcopal Church, Renton. They’re all important—liturgy, mystery, nature—and most of us involve all three in our lives, although rarely at the same time. Liturgy belongs to Sunday mornings. Mystery sticks close to music, art, and poetry. Nature emerges on weekend trips to the mountains or evening walks through the park. St. Luke noticed this separation, and it responded with one-of-a-kind evening liturgies. Or, more accurately, four-of-a-kind. Four times a year on the equinoxes and solstices, St. Luke, Renton, combines liturgy, mystery, and nature in an evening service open to everyone. You won’t hear a sermon at these liturgies. There’s no Eucharist, either. Instead, you’ll hear poems by Gary Snyder and John O’Donohue, and readings from Marilynne Robinson and John Steinbeck. You’ll find visual art, chant, and meditation from all sorts of cultures and genres. These liturgies create space for a mystical experience of God—something more ethereal than the usual liturgy, more applied than the general artistic world, and more present than our typical relationship with nature. As for music, traditional hymns make an appearance in some form, alongside other songs rarely found in any church service—songs written by artists like The Byrds or Sweet Honey in the Rock, and performed at St. Luke by musicians from throughout the Pacific Northwest. Gospel singers, banjo players, and acapella groups have all participated. These liturgies draw on the Diocese of Olympia’s musical talent; St. Luke, St. James, and St. Thomas all regularly contribute musicians. 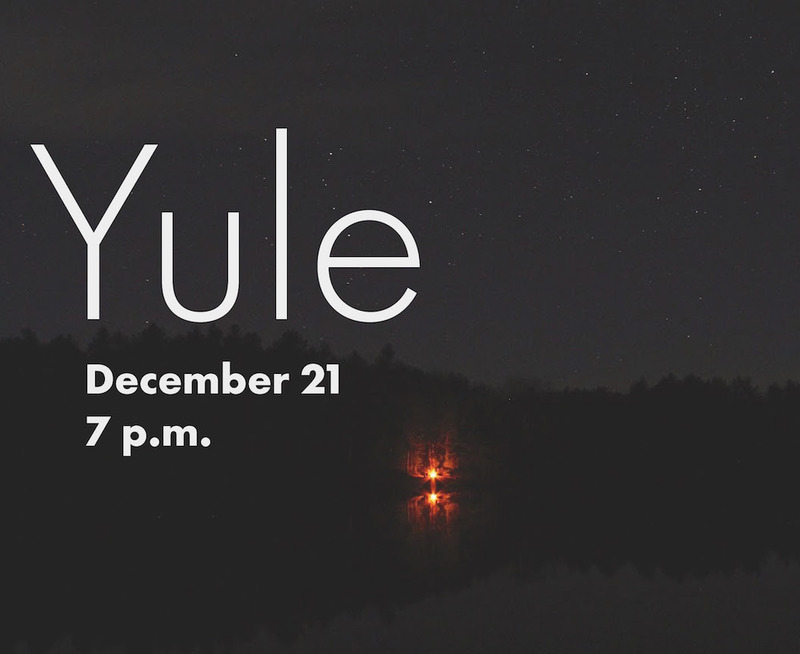 St. Luke, Renton, will hold its next seasonal liturgy, Yule, on Thursday, December 21, at 7 p.m. All are invited to Renton (99 Wells Ave S.) for this intersection of liturgy, mystery, and nature.